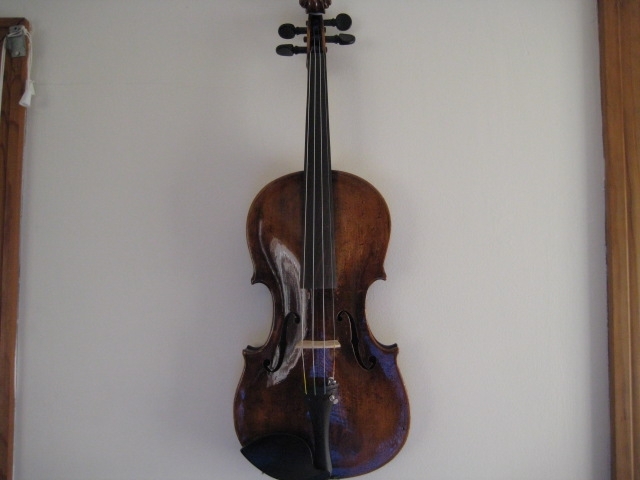 Did you get anything violin related for Christmas? I got several music related gifts this year, but most of them are more guitar oriented. For violin though, I got a paperback copy of Leopold Auer's book "Violin Playing As I Teach It", which has been a great read. I also got one of Snark's "Super tight" tuners, which I like much better than the slightly cheaper Snark. I gave my old one to my daughter. Anybody else get anything cool and "violiny" or "fiddly"? 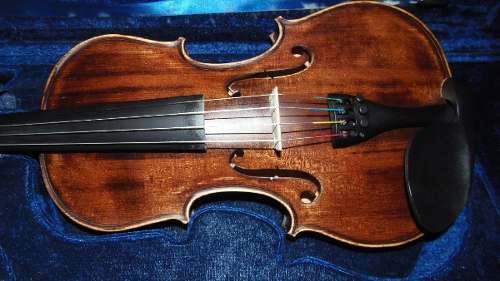 I got myself a new Violin. Brazilian made Nhureson IV Allegro... Great improvement over my former VSO. It's a beauty as well. 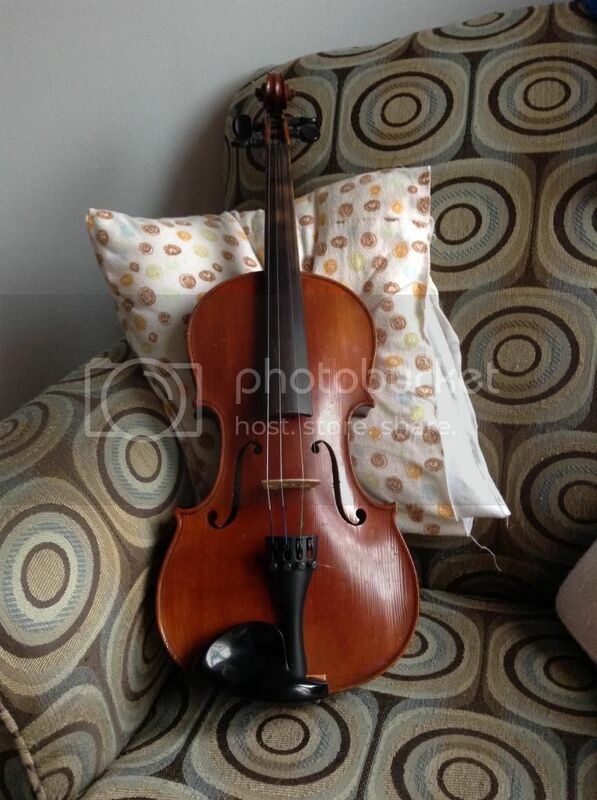 (This isn't my violin, I took an image from Google because I was too lazy to take a picture of it myself. Augustoad, that's a lovely looking instrument. Didn't any any music related gifts from family. Nice to get Violin-y Gifts. 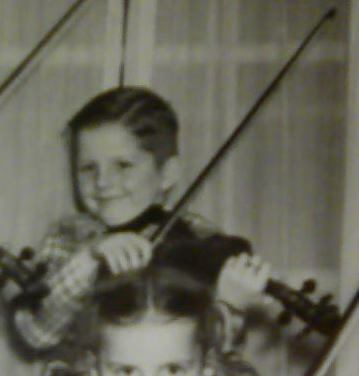 My family wouldn't begin to know where or what to give me for violin type gifts. I am somewhat set up with Violin stuff for now anyway. Hope everyone had a lovely Holiday and is ready to march into 2015.. stomping and screaming and having fun!! woot woot. Glad to learn you got "good stuff" LOL - heyyyy - we're on a budget here and I couldn't suggest or "hint" this to my better-half (just felt it was "far too much for a gift" - and besides - to be honest - I would so much rather that any gifts that arrived were "surprises" anyway ) so I saved for it as a Xmas pressy to myself - FX box for my EV ( well, it's a guitar FX box by design, but - well - yeah - it draws a lot of cool sounds (noises???) from my EV - the FX box is BOSS ME-80 and I got it about 3 weeks back ) - I KNOW that sounds selfish - BUT- I did of course treat my good lady to a very nice pressy as well ! Actually, the only copy we have of Rocky Horror is on something called VCR.... we don't have one of those machines that play tape any more... LOL - so it'll be great to hear, and see a young MeatLoaf (Eddie) again - not to forget Brad and Janet, Frank N Furter (the mad Tim Curry) and all the other great support of course! Cool - that was a NICE pressy ! Got it scheduled for this Sunday afternoon ! To everyone else on the thread, I hope all your holiday days were peaceful, and shared with friends / family ! @mischa91 and @augustoad, Beautiful instruments! 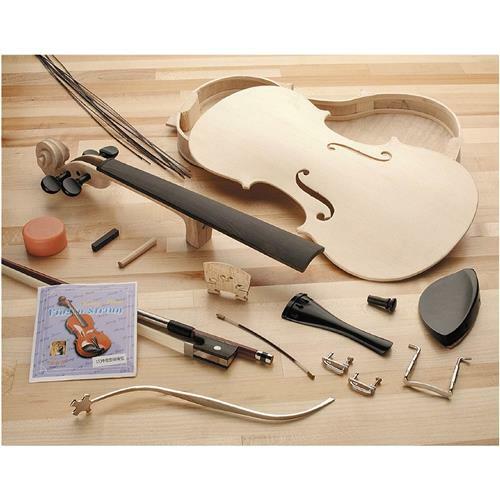 @ElisaDalViolin that sounds like a great gift. Would love to hear about it. You just reminded me if a big big book I teceived as a gift last year from my sister. 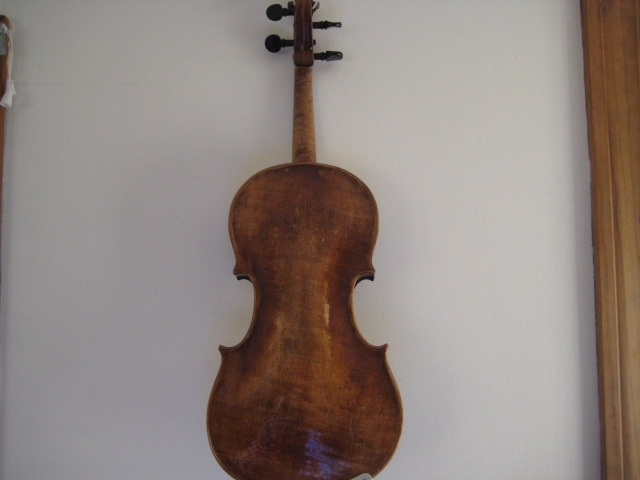 The history of violin...something like that. I need to pull it off the shelf and indulge. The card from your teacher sounds lovely also. My fingers are crossed that I can take lessons again this year... This time I will make the most of every minute! ;). I got a car starter I listen to Viola music in the car, does that count ? I received the Fiddler's Fake Book!! We draw names in our family for the adults. Everyone receives one really cool gift - $20 limit. The giver is a secret. Sometimes people need suggestions so people ask others to try and find out a gift suggestion for them. We each try to figure out who has us. It is great fun lasting from Thanksgiving to Christmas Eve. I had my daughter and told her I needed to find out what she wanted for the person who drew her name. I had all kinds of ideas if she and husband were in their own home, but they are living with us at present. Anyway I was really stumped. At one point I thought well if she asks who I have I would say my daughter-in-law. Good thing I never said that, she had my daughter-in-law!! For the children we pool $20 from each family to be divided for each of the children. It works very well for now - just 4 children. We might have to up the money as our family grows. Great stories folks - the act of giving is great in itself, and when it really turns out to be a well chosen, and well appreciated gift by the recipient, it feels even better ! Actually I did get something violin related. I'm 71 years old and was called back to work last April for only 6 - 8 weeks or until the other worker healed from a broken wrist. It's now, Dec. 28th Sunday evening and I have to work tomorrow. I've been trying to get the boss to fire me so I can retire again, but to no avail, lol, he won't do it. After work on Tuesday, he said I had to come to his house. So I followed him there, on arrival we went inside and he handed me a large (Christmas paper) wrapped box. On opening it I was totally surprised. He said, "this is in appreciation of working all this time". Here's what he gave me. I showed it to my luthier, Mark. He said it will be a good project for you. He said not to buy "any" tools, that he has all the tools I will need and I'm welcome to use / borrow them any time. So now, if I can get the boss to fire me, I'll have time to work on the thing. @Fiddlestix Oh WOW!! Awesome!! You have a great boss. wow @Fiddlestix that is an awesome present! i might have to look into that someday if i'm feeling crafty haha! what a cool thing for your boss to do! @Fiddlestix - yayyyy !!!! Just been on to the site and reading the documentation that comes with it! What a super project! Now just go get yourself fired and get the time to build it ! LOL I guess the one thing that would give me difficulty would be the routing needed for the pufling - I have a router but it wouldn't be suitable - I could maybe jury-rig a kind of cutting-jig with a Dremel craft drill or something like that - but I'd have to do a dry run on a cheap bit of shaped plywood or something first! Good luck with the project ! How very very cool Ken. Oh boy.. You are working so much these days. You are missed. I love your gift. Can't wait to see it finished. I didn't get anything violin related but i did finish the restore on a late 19th century violin i had on Christmas day.. It was in really bad shape.The whole front seam was open and all the seams were loose and someone put a real bad varnish job on it..I restored it all and amazingly it sounds really good even on the high G notes! I would say Christmas was the first time this baby hit a note in a half a century or so! Great gifts everyone has shared! I didn't get anything violin related, but I did get a beautiful ukulele. Eventually I'd like to play some backing to go along with my violin, so that's sort of related I think? It has four strings.....lol! @Feathers I'm an uke player myself. The two instruments go pretty well together, but the violin seems to outstand a bit when they're played together. That doesn't mean, of course, that the uke can't be heard, just that it sounds more like something to complement the violin than something like the cello would be, having it's own importance and relevance together with the violin. The uke blends in. It's a great instrument to go with the guitar, though, better than it goes with the violin IMO. Anyhow, it depends a lot on what exactly you're going to be playing on both instruments. @augustoad, Cool that you're a uke player, and thank you for your input. 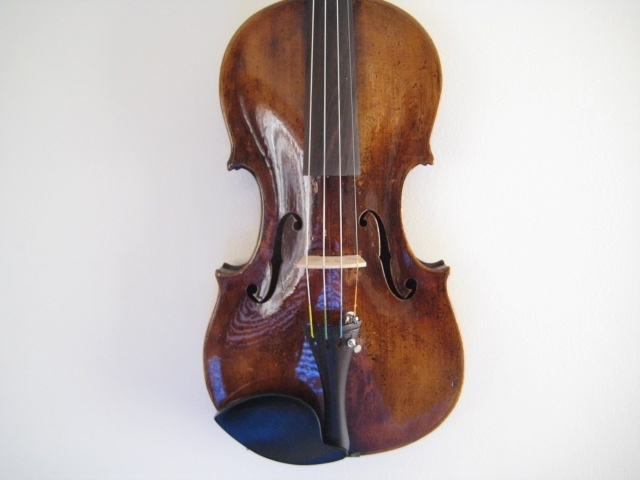 One thing about the violin being a little louder is, since the backing would be recorded anyway, I can always enhance the the sound/volume as needed in production. I just love the sound of ukuleles. They always sound happy. Anyway, this just gives me another fun instrument to play, either alone, or with one of my others. I play guitar and banjo too, so I have those choices to experiment with also. Needless to say - I've been so focused on fiddle over the years, I haven't played my other strings in a long while, so right now my finger tips look like they've been to battle.....lol! @Feathers , It's always nice to learn a new instrument. Ukes are a lot of fun, and they do sound happy all the time as you said. Go for it.